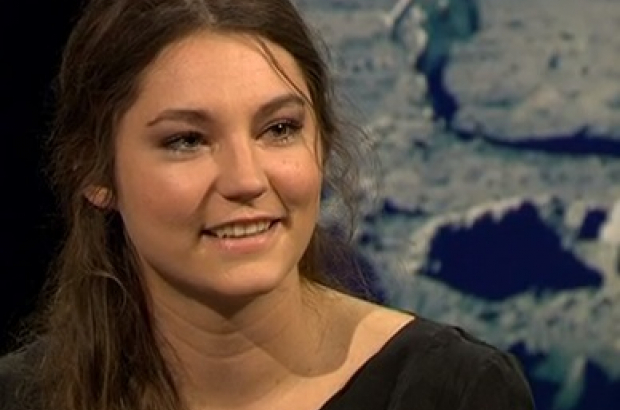 Angelique Van Ombergen, from Antwerp University, is going to Mars in August, or rather she's going to a version of the Red Planet built at a former military base in northern Poland. The Lunares facility was set up to train astronauts and to allow researchers to study how they cope with the physical and mental stresses that interplanetary missions might involve. Although Van Ombergen (pictured) is a medical researcher, she is attached to Antwerp University's physics department, where she investigates the influence of space travel on the human brain and balance organs. Hence the trip to Lunares, where she will be the commander of a two-week simulated Mars mission. Her role will be to collect data from five other 'astronauts' and to see how they adapt. "Among other things, I'll test the cognitive ability of the participants before, during and after the stay," she explained. "And, in collaboration with the Belgian Nuclear Research Centre, I'll also measure any link with stress hormones: if cognitive ability decreases under the influence of stress hormones, then it's important that something is done about stress levels during Mars missions." One source of stress is being isolated and confined for such a long period of time. "We'll be shut up together for two weeks, for most of the time in a small room," she went on. "If humans do travel to Mars in the coming years, we can't assume we'll be able to walk around like we do on Earth. During our stay we'll be allowed to do some extra vehicular activities, or EVAs, and go 'outside' for a few moments, where the surface of Mars has been simulated." Communication with the outside world will also be limited. "We'll only be able to communicate with mission control, and then with a 20 minute delay to make everything realistic. We will not see daylight, and not even know exactly what time it is. Right now, I don't know exactly what is waiting for me, but I'm really looking forward to it."